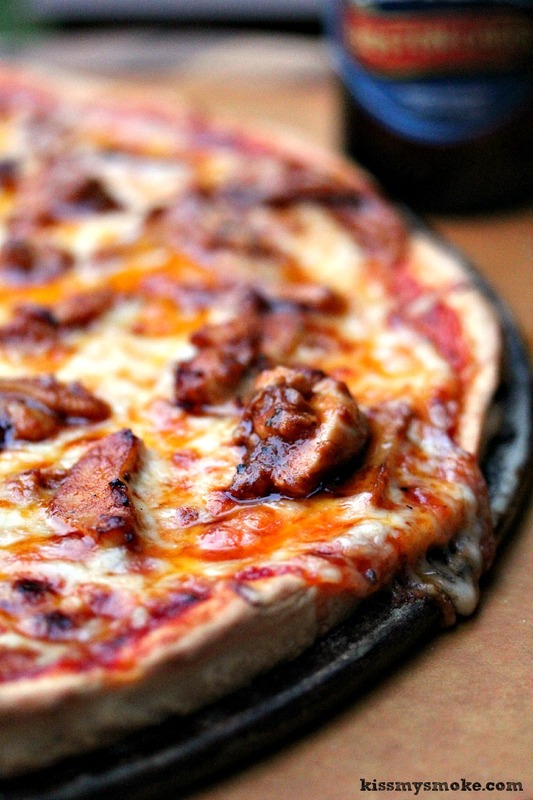 This Buffalo Chicken Pizza Recipe includes homemade pizza dough and grilled buffalo chicken. It all adds up to one seriously scrumptious grilled pizza! This is a sponsored post on behalf of Branding & Buzzing. They asked me if I’d like to create a recipe using one of Samuel Adams fine brews. I think my exact words were “for realz”. For anyone who has a passion for grilling you know beer and grilling go hand in hand. While I’m not a big beer drinker, I do love to eat my booze. Beer works perfectly for so many recipes, but none quite like grilling recipes. 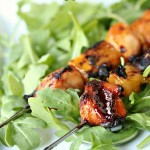 It can be used as a marinade, or used to add depth and flavour to a dish. Deciding on a recipe was easy. I knew I wanted to make pizza for this post, it’s a staple in our household. We make pizza in one form or another a few times a week. The second I knew I was making pizza it was an easy leap to Buffalo Chicken Pizza. I knew I could incorporate the beer in the sauce. Then it was an easy leap to choose Boston Lager. Seemed to make good sense to me. I’ve been using beer in my pizza dough for over 25 years. It works perfectly to add a little extra pizazz to any dough. Something my Dad taught me many moons ago. If you use a bread machine you won’t need to heat the beer up, most machines will bring the ingredients to the correct temperature. If yours doesn’t then I suggest warming the beer up a bit. If you make dough the old school way, and knead by hand I suggest heating the beer until it hits about 120 degrees. This is just going to help keep the dough from falling flat and the yeasty goodness to do it’s thing. Yeast is magical, but it tends to like warmth. So just pop a bottle of beer in a warm water bath. Works like a charm. This recipe is a bit step heavy. You need to make the dough, let it rise, then grill the chicken, make the sauce on the grill in cast iron pan, then slice the chicken up and drop it in the pan of sauce. Then you need to make the pizza, then grill the pizza. It’s a bit of a process but I assure you all the steps are easy and not overly time consuming. 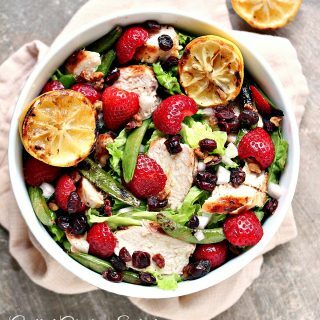 You will love me after you make this. It’s okay. I make good pizza. Many a marriage proposal have rolled in over my pizza, and my lasagna. You can ask but I’ll say no. Just putting that out there. But feel free to shower me with gifts. Perfectly acceptable. I could use a new bridle for the horse if you’re looking for ideas. This chick ain’t into bling, unless it’s for horsey. Know your grill! Every grill works a bit differently. Calibrate and use a thermometer so you know the proper temperature inside your grill. 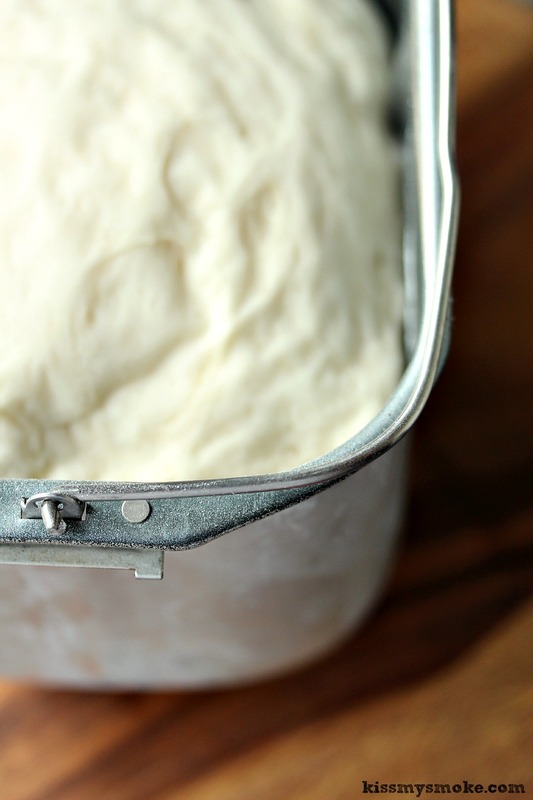 Don’t overwork your pizza dough. It will make it tough. You can use cornmeal to help slide the dough onto your cooking surface. You can par-grill your dough if you like. It helps make a nice crispy crust. Don’t go crazy with toppings. It’s hard to resist the urge to overload the pizza but it will cook better if you go easy! Pizza is best cooked over high temperature! Combine all the pizza ingredients in the bread machine in order they are listed in. When adding the yeast make a little shallow well for it in the middle of the flour. If you bread machine doesn't bring the ingredients to correct cooking temperature you should heat the beer up a bit. I like mine between 110 and 120, typically as close to 120 as possible. Turn the machine on the dough setting (not the pizza setting, it's too short, I always choose dough over pizza setting), and hit start. It should take about 90 minutes to get great dough. Remove from the machine, and spray the dough with non-stick spray or a little olive oil. Divide dough in half and wrap one up for another pizza later (I slather mine in olive oil and place in a glass container, cover the top with parchment, then place the lid on), then use the other one for this pizza. 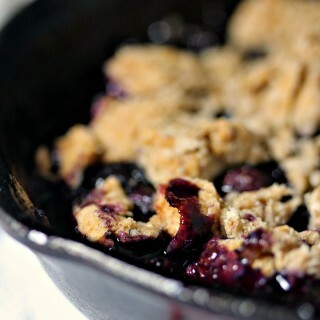 Place it in a glass bowl, lay a piece of parchment over top then cover with foil tightly. Place in a warm area in your kitchen for about an hour or so. Punch it down and you're ready to roll it or hand stretch it. We typically hand stretch ours. Adding extra flour makes dough a bit chewy, and we're not huge fans of cornmeal. Spray a pizza pan with non-stick spray and lay the dough over top. Press into edges to form a crust. Take a fork and punch a couple of fork marks in the dough randomly. Set aside. Place the chicken pieces in a large glass bowl. Season with salt, pepper, and smoked paprika. Pour the beer over top. Cover and let stand for about 20 minutes. Remove and rain off liquid. 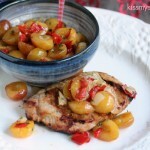 Brush chicken pieces with olive oil. If you like some kick add more seasoning spices now. Place each piece on the grill and cook on both sides for about 4 to 5 minutes, I like mine cooked until it just starts to char the edges. Remove and place on a cutting board. Allow to cool briefly while you start the sauce. Place the butter an brown sugar in a cast iron skillet, set on the grill and allow the butter to melt an the sugar to dissolve. Now add the beer and let it bubble up and cook for about 3 to 4 minutes, this gives it time to reduce down a bit. Add worcestershire sauce and hot sauce. Allow it to bubble up for a minute or two. Add the tomato sauce, paste and minced garlic. Allow to bubble, stirring until it thickens. This can take about 3 to 5 minutes. 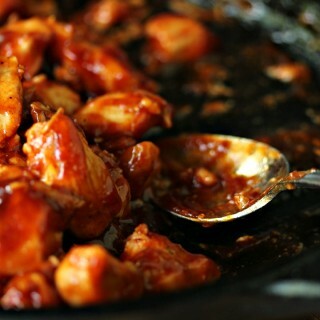 Once it starts to thicken up cut your chicken pieces into thin strips and toss those in the cast iron pan with the sauce. Allow to cook, stirring gently until all the chicken is covered in thick, gorgeous sauce. Set aside. Make sure grill is still at a medium heat. At this point you can decide if you want to use a pizza stone or if you'll just use the pizza pan. I used the pizza pan because my daughter is not a huge fan of the stone pizzas. So weird, I can't explain that one. Spread the pizza sauce evenly over the dough you spread out and set aside earlier. Then top with mozzarella cheese. Then place the buffalo chicken over top. Make sure you scrape all the good bits off the pan and use up almost all the sauce, setting a wee bit aside to drizzle over the pizza once it's cooked. Place pizza on the grill grate. 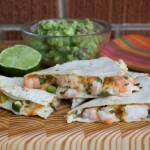 Close the lid and allow to cook for about 10 to 14 minutes, depending on the heat of your grill. If you find the bottom getting too dark you can raise the pizza up by setting two bricks on your grill and placing the pizza pan on top. This elevates the pizza a few inches for those who like a less crisp crust. Just a little pizza tip for you. It's how I roll. Once the pizza is done remove from the grill and drizzle the remaining buffalo sauce over top of the pizza. Use your pizza cutter or pizza rocker to cut the pizza into slices. Serve with a big old Pizza and Beer Loving Smile. I've never been a fan of other cheeses on pizza so for ours we typically use mozzarella. You can swap that for other kinds. I really like smoky heat, so this has smoked paprika and chipotle. The heat builds and goes really nicely with the flavour of the beer in the pizza dough. 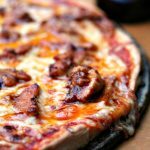 Most buffalo chicken pizza recipes have you use the buffalo sauce under the cheese, I don't know why but I don't care for that. I like using regular pizza sauce on the dough then topping the cheese with the buffalo chicken and sauce. It's just how I've always done it. Not tradition but it's how I roll. We love garlic, if you don't leave it out. Easy peasy. The horizontal photo was taken the next day with one I reheated. So I can say with absolute certainty this pizza reheats really well. Any time I develop recipes I make them at least 3 or 4 times to ensure they work. It usually leads to lots of leftovers. But look how fabulously this pizza reheats on the grill. Just as scrumptious on day 2. I really hope you like the recipe. 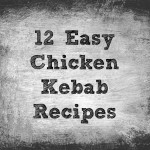 It’s a family favourite, we love chicken so we’re always playing with recipes that include it. And pizza is staple in the Beaulieu compound so it’s something you will see often on both blogs. Thanks to Samuel Adams for the inspiration to get my beer on. This was so much fun. Be sure to check out Samuel Adams to see what brews are for you! Remember they are available in Canada which rocks for me since I’m in Ontario. There’s tons of fun varieties so take your time and browse. We purchased our Samuel Adams Boston Lager at our local LCBO. We live in a small town so I was sort of sceptical we would find it but they had the Boston Lager which is the one I wanted to use. So score one for the team. For more photos of my fabulous experience using Boston Lager in my recipes follow me on Instagram. 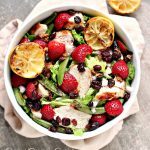 I shared a ton of in action shots while I made this recipe. I’ll be using the rest of the beer for more recipes so I’m sure you’ll see it show up again for some fun recipes. Disclaimer Mumbo Jumbo: This is a sponsored post on behalf of Branding & Buzzing. 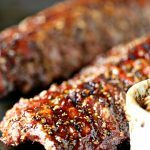 I was paid for my work to create a recipe using one of Samuel Adams Beer. All opinions are my own. I’m paid on occasion to develop recipes for brands. That fee helps keep the website running and providing readers with free content. Thanks for your continued support. That pizza looks incredible! And I love the idea of using beer in the dough. YUM! Thanks Sarah. I love the flavour beer adds to dough, gives it such depth. I find it helps with texture and rising too. Just love using it. We rarely make dough without it. Ohhhh! 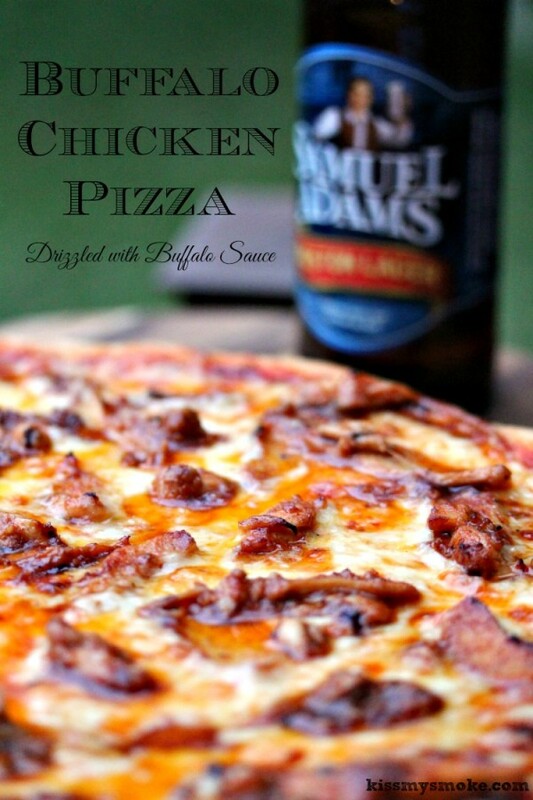 I’m a huge fan of Sam Adams…and pizza – I need this in my belly. Like, now. You definitely did them proud. Us too, it’s got so much flavour. And their choices are amazing. Thanks Heather, I am pleased as beer (ha) to have them as my first sponsor for Kiss My Smoke. A perfect fit. 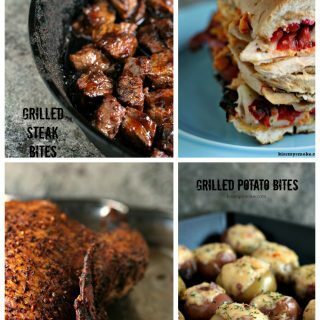 Love using beer in my grill recipes. Plus it gives hubs an excuse to crack open some extra. Oh my word! This is beyond amazing! Thanks so much. I had a blast doing this one. We LOVE Sam Adams! Husband is from Boston so it’s always in our fridge. YUM! It’s a great brew. Works perfect for pizza. I want this whole thing! The pizza, the beer, the chicken…I die! Ha, thanks Brandy. We really enjoyed this recipe. It’s pizza heaven. This pizza looks beyond amazing! I can just imagine how spicy and cheesy it tastes! Thanks Karly. We’re huge pizza lovers here. Always some dough in the fridge at all times. 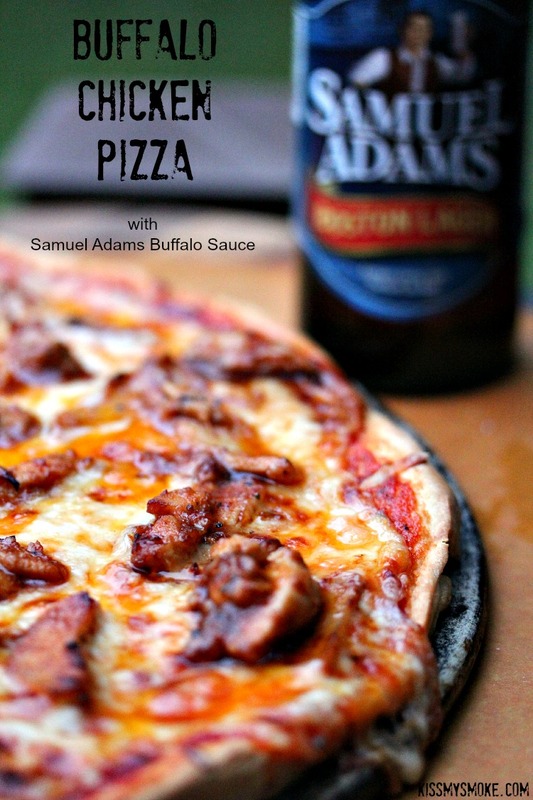 I’m not sure what I am more hungry for… the buffalo chicken pizza or the Sam Adams in the back! Looks amazing, Kim! Ha, thanks Jessica. This was a great adventure. Love their product and had a blast cooking with it. I heart you so hard right now. Will you marry me? Please? I’ll help groom your horse and bake you pie, if only you made me this pizza. Fer realz! Ha, absolutely. Hubs won’t mind at all. And horsey could use a good grooming about now, and her owner could use some pie. That is one of the most gorgeous pizzas I’ve seen in a long time. I love the idea of adding beer into the dough…your dad is a wise, wise man. Awe, thanks so much Dara. That means a lot to me. My dad loved food, I miss having him around to try out my recipes. He was a great taste tester. I just LOVE everything about this, especially the beer crust…can’t wait to try it! Thanks Diane. Hope you love it. This sounds over the top good! 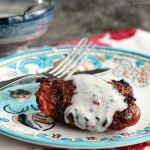 I love the addition of beer to the sauce and it sounds fantastic without the chicken too! Thanks so much Ginny. I love using beer in bread and pizza recipes. It just works magic on them. I’ve never heard of using beer in dough before, I’d need to try it! Innovative adding lager to the dough. The pizza looks fantastic! Thanks, I can’t help myself. It’s a bit of a habit. Just adds so much flavour. That’s an amazing combination of flavors. This is something my guy would LOVE! And me too I might add! Thanks Melanie. I hope you get a chance to try it. 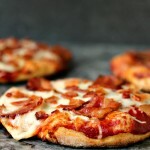 This is seriously one of my favorite pizzas and I can’t wait to make it at home! Thanks Angie. You’re going to love it. Hand in hand indeed!! Now this is my kind of pizza dough. I’ve used beer in all sorts of cooking, but never baking. I’m SO making this!! For Realz!! Thanks Kim. Let me know what you think. My dad was a wise man. Or he just liked a good excuse to bust open the beer in the middle of the day. 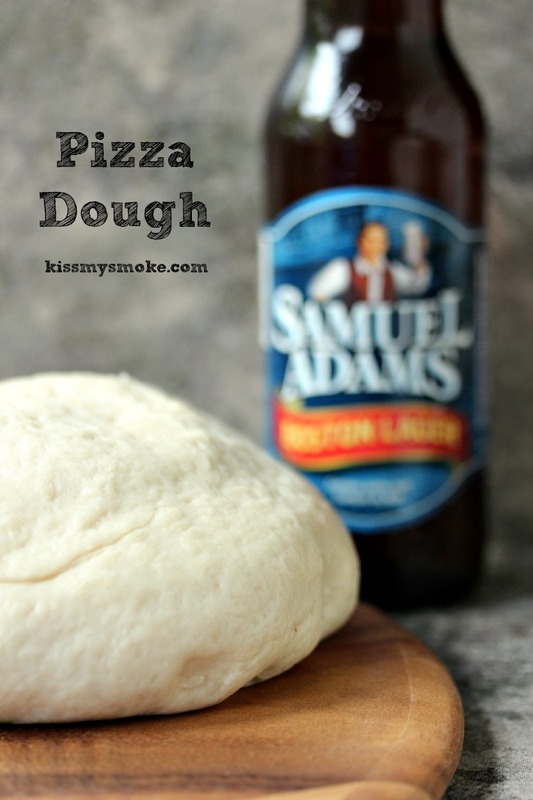 This is great that you used beer in the dough – I bet it gives the most amazing flavor!! Great recipe, Kim. It is so amazing, you must try it. It’s a game changer. Thanks so much. I am a huge pizza girl, make it way too much. I am a huge fan of pizza and this one looks out of this world. Fantastic and I’d love a slice right about now. Thanks so much Michelle. We eat a lot of pizza here. So I’m always playing with different flavours. Yep, making this, oh, tomorrow. You’re the SHIZNIT. Thanks Lora. You must try this. You will love it. And one day soon we’ll be sharing a brew again. Making plans for next year’s conference schedule. I love the idea of adding beer to the dough. Grilled pizza is one of my favorites! This looks like the perfect combination! Thanks Karissa. I really love using beer in doughs, it just adds so much complexity to it. Beer in the dough….genius!!! My first thought when I saw this pizza was OMG. No kidding. I need it right now. Thanks Kellie. That’s so sweet of you. I just love pizza, so it’s something we make all the time. 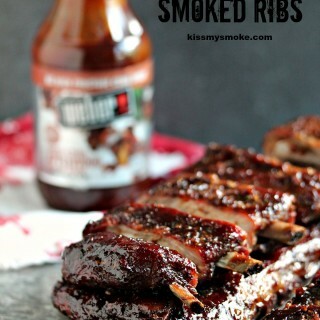 Adding this to the must-try soon list! So delicious! Hope you love it Lori. I swear by beer in all things yeasty. It works some serious magic on the dough. 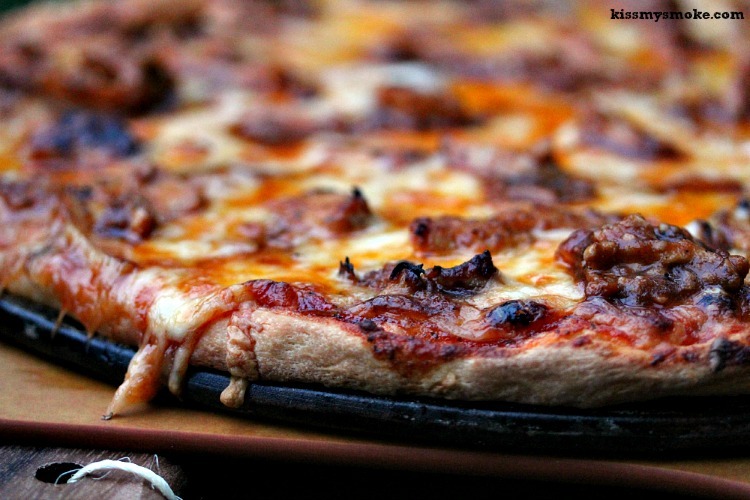 What a great way to use beer – in pizza dough! Love it! Thanks so much Kristen. That made me smile to hear you like the photos. High praise knowing how gorgeous yours are. Super creative use of this beer! And I am now drooling, and so hungry! Thanks so much. I love making pizza so it’s always fun to whip one up for one of the blogs. Hot DANG that pizza looks amazing!! I love the idea of beer in the dough! Thanks Rebecca, I love using beer in dough. It’s a magical thing. Kim, oh my gawd, this pizza looks sooooooo good!! !